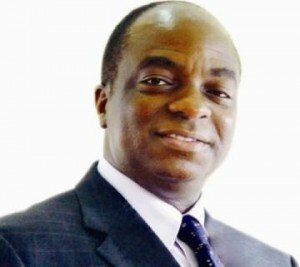 The Chancellor of Covenant University, Ota, Ogun, Dr David Oyedepo, said on Monday that the institution would be among the top 10 universities in the world by 2022. Oyedepo made the remark at the institution’s 11th Founder’s Day celebration in Ota. According to him, the university has since inception in 2002, focused on actualizing its mandate, which is primarily to raise leaders who will change the world. Oyedepo said that already, the university had surpassed set standards but was not relenting till it achieved its desired 2022 dream, tagged: Vision 10: 2022, (1 of 10 in 10). “It is in view of this that we are launching our new vision and, therefore want to charge the faculty managements to invest maximally in the review of our curriculum. “We must strive to review pragmatically, the contents of our curriculum by bringing it into the realities of the day. “Let us not be afraid of trying out new things in new ways because unless this is done, you cannot move forward. “We must strive to have the creative mind of Christ to review our curriculum in order to truly meet the needs of the society,” he said. The Chancellor said that empowering the people intellectually and practicalizing it through inventions and discoveries was key in taking universities to higher levels. He charged the students to be excellent performers, especially in the area of self-discipline, as it was a major tool in becoming great leaders. The chancellor later inaugurated projects in the institution, among which was the vision 10:2022 (1 of 10 in 10) billboard. He also inaugurated the glass blowing laboratory at the chemistry department of the institution as part of activities lined up for the celebration. The laboratory is meant for fabricating, moulding and re-moulding of glass. The Head of Department of Chemistry, Dr Kolawale Ajanaku, said that the laboratory would enable students to turn waste to wealth by picking up broken glasses and putting them into use. He said that the laboratory would not serve the students alone but would be open to members of the public for training.